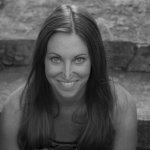 Melissa Farran is a licensed acupuncturist in Chicago, Illinois. She practices a unique and effective style of acupuncture called Five-Element Acupuncture. Melissa is dedicated to providing a supportive and safe healing environment and specializes in working with her clients to help them achieve their full potential physically, mentally, and spiritually. By treating the whole person – body, mind, and spirit, Melissa helps her clients gain relief from their presenting symptom or health-related issue, prevent the onset of illness before it arises, rediscover their inner well-being, awaken their true potential, and truly thrive in life. Melissa received her B.A. degree in Communication from Miami University in Oxford Ohio and completed the 4-year Masters Program in Classical Five-Element Acupuncture from the Institute of Taoist Education and Acupuncture (ITEA) in Louisville, CO. Personally, I was drawn to Five-Element because I trust nature and have always found comfort and healing there. I like the focus on the spirit in addition to the mind and body. I like that each point has a “spirit” or “story” and that treatment planning is a true art form. It is a perfect balance of art and science and it truly works. Receiving Five-Element treatment changed my life and once I experienced it for myself, I had to learn more. Once I began to study it, I knew I wanted to spend my life sharing this amazing healing form with other people and it can be of great benefit to trauma survivors. Five-Element Acupuncture is an ancient, distinctive, and powerful form of healing based on the principles of nature. It looks to the five elements – Wood, Fire, Earth, Metal, and Water – which are inherent in all living beings to determine where an imbalance lies within an individual and to develop a unique approach to help you achieve your best possible health. Within this style of acupuncture, practitioners view symptoms as distress signals which indicate imbalance and “dis-ease” within the “ecosystem” of your body. Five-Element Acupuncture addresses symptoms by treating the root cause of the imbalance which provides for longer-lasting results and prevents the re-occurrence of symptoms and illness. Health is restored and maintained by treating the entire system, rather than by simply trying to fix one part of it. Practitioners of Five-Element Acupuncture treat the body, mind, and spirit. Through ongoing treatment, energy is rebalanced and harmony is restored on all levels, thus promoting the body’s natural ability to heal itself from within. Trauma is going to affect each person differently because we are each unique. Often with trauma, energetic “blocks” will develop and one of the first things I will do in treatment is clear those blocks. Treatment will always be unique and specific to each client. I never do the exact same treatment on two different people because it wouldn’t be appropriate. As far as the elements go and are related to trauma, I will touch on them briefly. The emotion associated with water (winter) is fear. Water is also about will-power and deep reserves of power and strength. Wood (spring) is the emotion of anger and the energy is intense and uprising. Fire (summer) is joy and is about our connection to other people. Fire allows us to love. Earth (late summer) is sympathy. It is the mother earth energy, allowing us to be held and also hold. It is also the harvest time. Metal (Fall) is grief. It is about letting go and it’s also about a connection to something greater than our self. It gives our life purpose and awe. You can see how each of the elements could be affected when there is trauma. With Five-Element, each element will be treated in a unique way that fits the individual and their experience. The sensation associated with acupuncture needles differs from person to person, point to point, and day to day. However, it can feel a bit like a dull ache or pull, movement, or even a little bit like a tingle or light buzzy feeling. The sensation is not too intense and it is brief. If a client is nervous about the needles, I go slow with them. I often have them breathe with the needles and I use a very gentle technique. Many clients don’t mind the sensations at all, some really love the feeling and some clients fall asleep during treatment. In addition, a survivor can tell me as much or as little about their “story” as they want. What is most helpful for designing the treatment is to understand the impact that the violence has had on them and the ways in which it is affecting them presently. Learn more about Melissa’s approach to treating trauma and working with survivors of sexual violence in this blog interview “Embodied Healing Through Five-Element Acupuncture” here.